There are some pretty amazing perks that come with writing a beauty blog, and this one has got to be the most amazing. I was recently invited to go to Hamburg, along with four other bloggers & beauty writers (Jen from Mizz Worthy, Jane from British Beauty Blogger, Emma from The Beauty Button and Krista from Beauty & the Dirt) to go on ‘The Nivea Blue Boat’ (a ginormous cruise ship) for an overnight stay which included a concert with an ‘international superstar’ – all to celebrate the 100 year anniversary of Nivea. I squealed quite a lot when I read the invite – and phoned my parents to tell them (yep, I’m that cool). 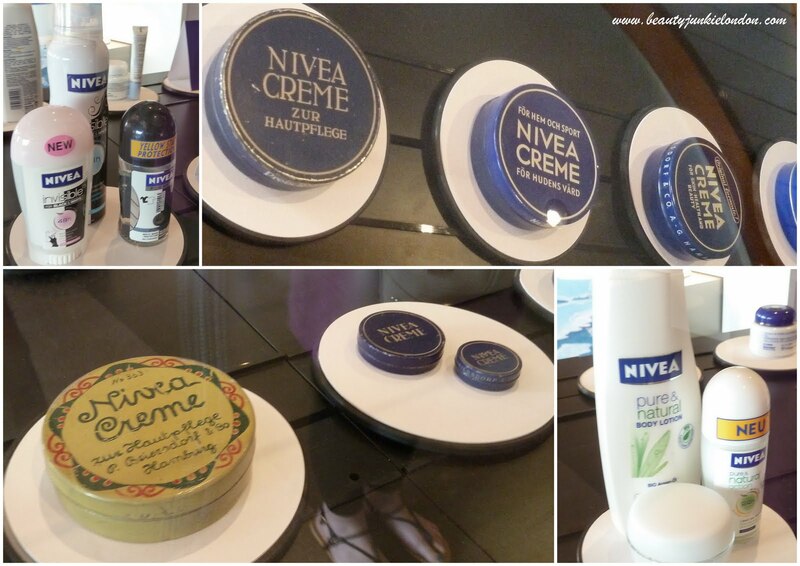 Some Nivea goodies in my room. The cabin and the best feature – the hammock. So after catching a very early flight to Hamburg and a short drive from the airport, we arrived at Hamburg Cruise Centre to see the ENORMOUS boat we would be spending the next 24 hours on. 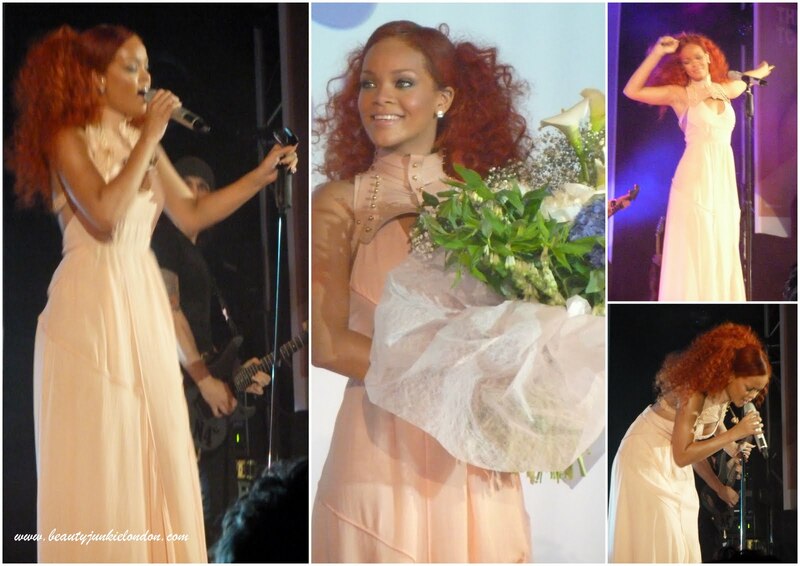 After some cheeky cocktails on the deck, in some lovely sunshine we headed to the theatre (yep, the boar was big enough for a theatre) to watch the ‘international superstar’ perform… the one and only Rihanna. Yep, time for more squealing. She was amazing, and actually I can really see why she is the face of the 100 year celebrations for Nivea – she manages to strike a balance between being a girl next door and super fierce pop diva. Somehow I can genuinely imagine her slathering on Nivea to keep her skin soft… despite being able to afford any product you can imagine! Then time for dinner, and more cocktails – followed by some dancing. Before heading back to my cabin in the early hours and trying to resist the temptation to sleep in my hammock. I love the vintage packaging of the original tins – I’d love to see Nivea release one of these in the vintage style – very dressing table worthy. Then, after a bit more sun on the deck we disembarked the boat and headed back to London! Where life is just a little less glamorous than on the big blue boat! 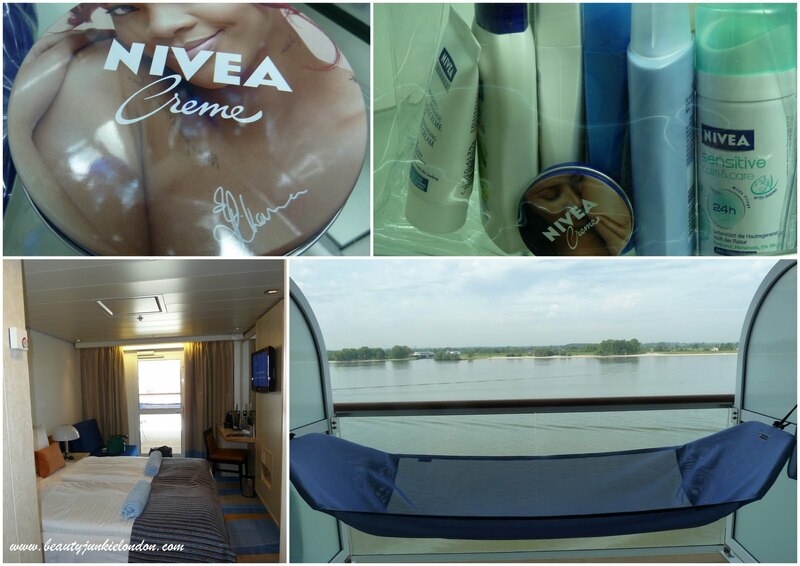 I was a guest of Nivea on the boat. Nivea is a cult classic.your trip looks so much fun. Can someone help me please. I found this blog which I think is great, I’ve already posted a couple of comments however is this ok for me to do this, as I’m not a beauty expert or anything like that although I do love everything to do with beauty and to talk about beauty I just don’t want to be stepping on anyone’s toes. Thank you…. hello, how did you get invited?